Through an intricate distribution system, Supreme Oil offers lubricants in a variety of product lines. We are able to provide quality service on Mobil, Exxon, Shell, Texaco, Unocal & CITGO products. 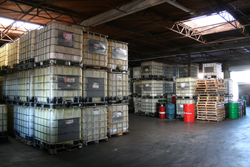 For questions regarding lubricants and/or specialty products please contact us at salesca@supremeoil.com.